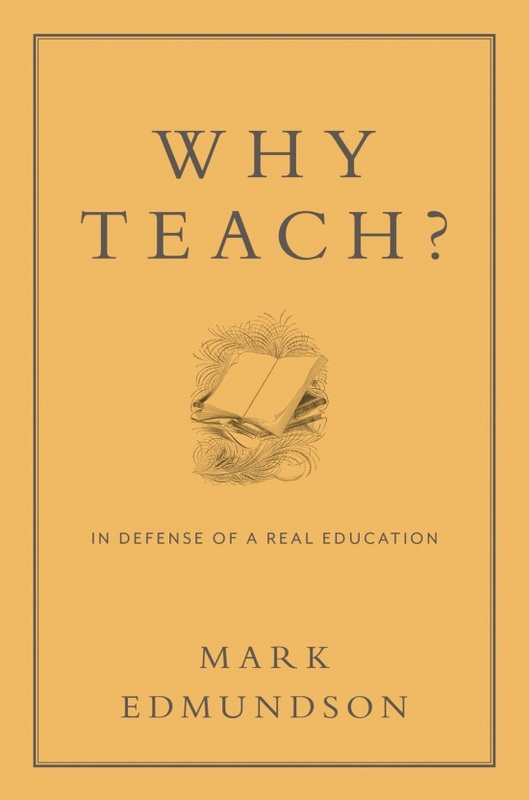 After reading reviews of Mark Edmundson’s book, Why Teach? : In Defense of a Real Education (Bloomsbury, 2013), AMSJ’s editorial staff decided to begin a forum for our readers with four different critiques of the book. We were especially interested in discussing the seismic shifts going on in teaching the humanities in colleges and universities around the country. We selected four respondents from a diverse set of institutions: Research 1 universities, teaching universities, liberal arts colleges, and community colleges to offer their take on Edmundson’s argument regarding the purposes and future of pedagogy at American colleges and universities. We’ll be running the pieces each Friday in the month of May. This is the first response from Elizabeth Hutchinson, Associate Professor of Art History and Archeology at Barnard College. We have forthcoming responses from Stephen Brauer, Associate Professor of English and American Studies at St. John Fisher College in Rochester, NY; Lee Bebout, Assistant Professor of English at Arizona State University; and Michael Millner, Associate Professor of English and American Studies at University of Massachusetts Lowell. Why Teach? : In Defense of a Real Education, by Mark Edmundson (Bloomsbury, 2013). There is much about Edmundson’s new book to take issue with, from its self-satisfied tone to its dismissal of critical theory and its rejection of the writing by members of historically marginalized groups as having the same potential to enrich the soul as established canonical texts. But it is a waste of time to quibble with the author’s rhetorical strategies and tastes when the issue at the center of the book—the need to encourage good teaching and learning in American higher education—is so urgent. Edmundson’s book brings together a series of columns and addresses produced in the last decade or so which criticize both students and teachers for deflecting their attention to experiences outside the classroom—students to their pre-professional training and professors to research projects of interest only to themselves and a small cohort of peers. This situation makes for a classroom experience which is designed to minimize complexity, conflict and disappointment. In my experience as a professor at a small liberal arts college associated with a large research university, the problem does not lie in my colleagues’ attitude toward teaching, but in the impediments to living up to their aspirations for the classroom. As the director of our First Year Seminars, I’m regularly involved in conversations with my colleagues about teaching and I am deeply impressed with their understanding of the difficulty of teaching tough material well. Unfortunately, their jobs do not often give them the time to work on pedagogical skills nor do their employers reward teachers who do extraordinary work in the classroom in a meaningful way. In recent years more than one colleague has earned a prestigious campus-wide teaching award shortly before being denied tenure. The message sent to colleagues is that time spent focusing on students is time taken away from the publications that are essential to job security. As a result, we see some of the hardest and most time-consuming teaching assignments, such as first-year foundations courses, going to part-time faculty members whose contracts do not depend on research, people whose pay and disenfranchisement from faculty governance further discredit the importance of teaching in the institution. Moreover, the nationwide movement to staff colleges with adjuncts has made administrative duties fall more heavily on the shoulders of a smaller cohort of full-timers, further diminishing the time available to them for the preparation and execution of thoughtful, provocative lesson plans. It is true that faculty members are occasionally able to get support and recognition for “innovative” pedagogy, usually involving new technologies, but there are few rewards for mastering the essential skills of bringing students into rich dialogues with course materials and with fellow students. On our campus the institutionally-supported opportunities for colleagues to gather and discuss teaching are sparse and those which exist draw few members of the full-time professorate. And the problem is self-perpetuating as faculty mentors feel obliged to spell these realities out for the next generation of instructors. In meeting with my doctoral advisees, I work at honoring and recognizing the intellectual and emotional rewards they get from a job well done in the classroom while pushing them to minimize the time spent on building pedagogical skills so that they can graduate with the kind of robust CV that is essential to landing an elusive tenure-track position after graduation. If Edmundson’s criticism of his peers is ill-placed, I think it is also important to think about the challenges facing our students deriving from something more than the inability to handle challenge. As a colleague recently told me, our students are keenly aware that their media-saturated lives make it difficult to focus on one task and deepen their thinking and creativity and they yearn for our support and guidance. Certainly, in choosing to come to a liberal arts college like mine, the students expressed a desire for a “real” education. Yet the current economic climate instills them and their parents with a fear of an uncertain future that can lead them into taking on too much both in the classroom and out with the result that there is little time for the reflection such learning demands. These problems are particularly acute for students from lower-income backgrounds, many of whom do not come from families with a history of earning college degrees and a large number of whom have had little grounding in critical reading and writing in high school. Because of all of these factors, today’s students can be harder to teach than the population which found its way into our classrooms when Edmundson started teaching. But this is a reason for institutions to devote more resources to supporting educators with appropriate teaching loads, recognition of classroom success, and opportunities to participate in workshops, trainings and regular discussions about pedagogy. 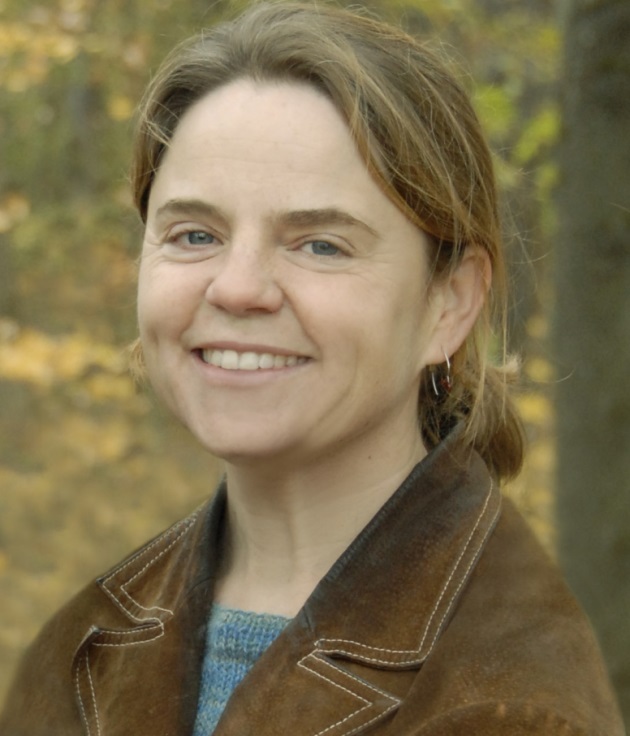 Elizabeth Hutchinson teaches graduate and undergraduate students about North American art and visual culture at Barnard College and Columbia University and directs Barnard’s First Year Seminar Program.